Eczema is a dry skin condition that can affect both adults and children. 1 in 5 children in the UK suffer from eczema, and it can come in many different forms and can appear on different parts of the body. 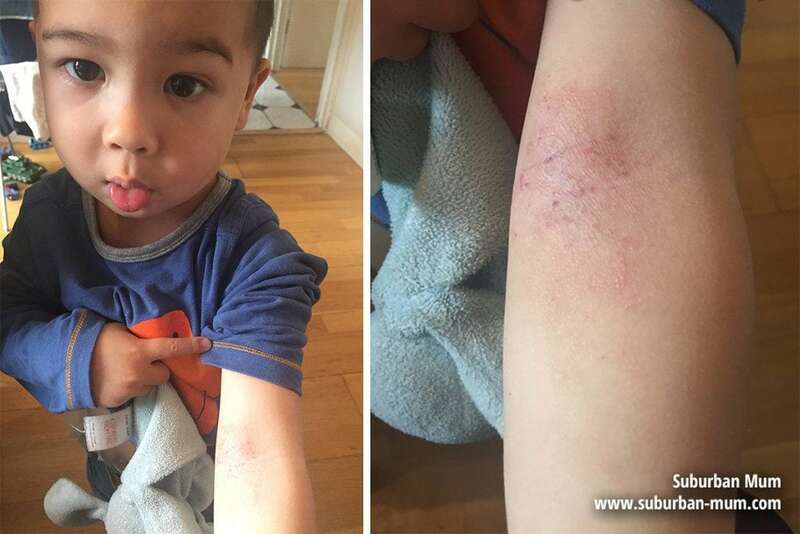 You can read more about our eczema story here as both Mr H and M suffer from the condition. The urge to itch and scratch comes hand in hand for those who suffer, and it can affect day-to-day life – even more so in the colder months when the air is dry, and the central heating is on. 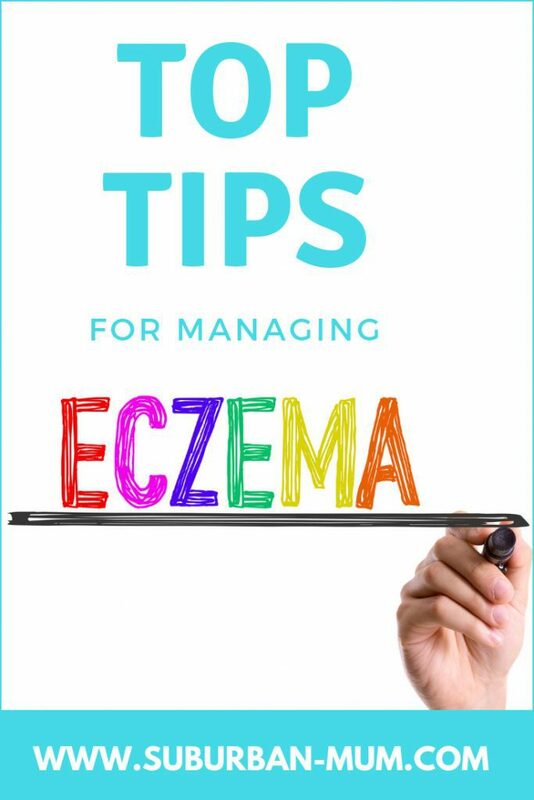 This week (17 – 25 September 2018) is National Eczema week, and we’ve been asked by Oilatum to share our top tips for managing eczema. I’ve also asked my fellow bloggers to give their tips and advice too. To help minimise scratching at night when sleeping, we found Scratch Sleeves an absolute godsend when M was a baby. Made with cotton, the mitts are 100% silk, so they protect the skin. 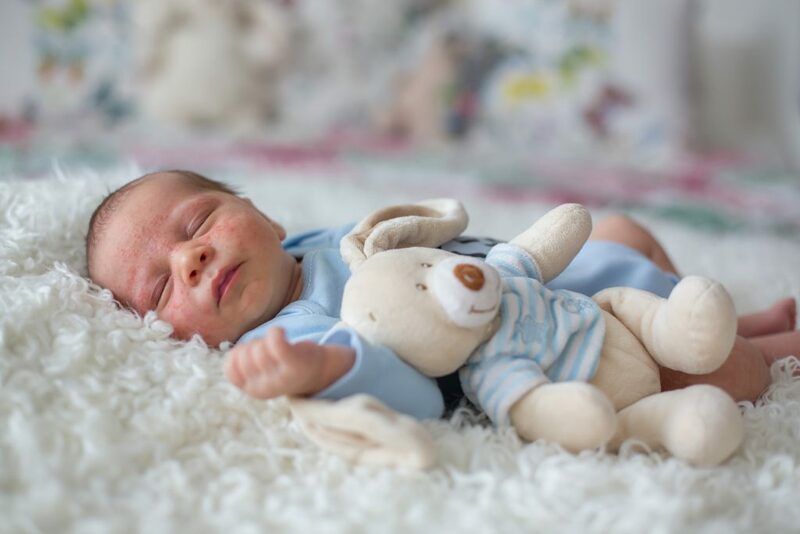 The way the Scratch Sleeve are worn make it hard for babies and toddlers to remove them allowing the skin to heal and reducing the risk of infection. They have sizes suitable for children up to 10 years old. They’ve also expanded their range since we last used them and offer pyjama versions as well. Bath every other day and to avoid all types of bubble bath. Ensure bath water isn’t too hot as this can also irritate the skin. Wash bedding every week and keep the house clean as a build up of house dust mites can inflame eczema. Georgina from Gee Gardner also recommends not bathing every day as well as taking a break from creams. On days where we don’t bath her then we apply a thin layer of moisturiser. Giving her that day or two off with the creams seems to really help. Before we followed these steps we were applying creams multiple times a day with seemed to aggravate it more. Mandy from One Slice of Lemon says you can pick up a bag of oatmeal for 75p in Lidl. Leyla from Motherhood Diaries suggests adding in sunflower oil in the bath. I found adding sunflower oil in the bath really soothes eczema as it naturally moisturises the skin, so you don’t have to add anything afterwards. I have two wrigglers who hate having anything put on their skin, so I found this way works! My son doesn’t have eczema, but we use breast milk baths to control his nappy rash and I’ve heard other mamas use breast milk baths to help with eczema since it stops the water drying skin out. Salt baths can also ease and soothe itchiness as well as help reduce inflammation. Eczema sufferers skin have trouble retaining water; this makes it very dry and dry = equals itchiness. Therefore, moisturising is an essential way to hydrate the skin, and it’s important to make sure you moisturise within 3 minutes otherwise the moisture your skin needs will evaporate and can cause a rebound effect and make the skin even drier than before. 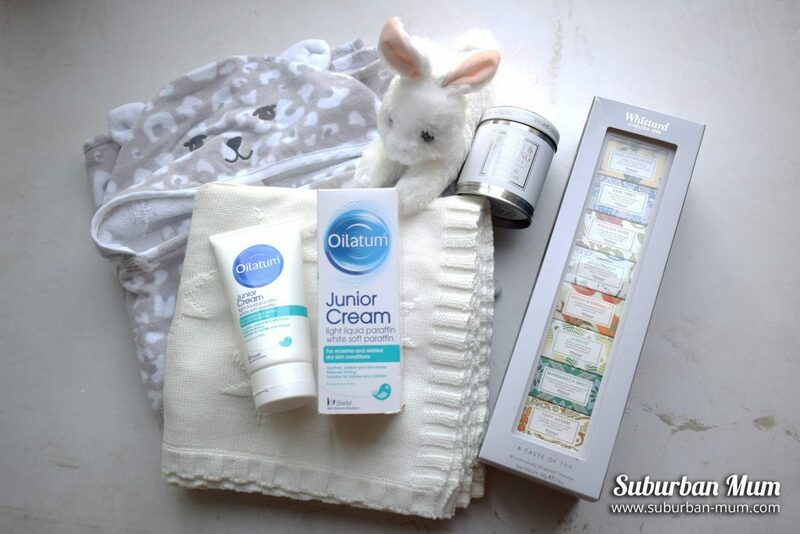 We’ve tried many different types of creams before including Oilatum which has been clinically tested to significantly reduce itching for 8 hours. Water can dry out the skin too so make sure the skin is moisturised after baths. I stopped using soaps thinking water would be safe but even my hands went really dry with only water. Not all creams work for everyone, so it really is a process of elimination to work out what works best for you and your skin. Emma recommends B-Balm from Beeutiful which is made from honey and beeswax which she says is amazing for healing skin issues quickly. Both Hollie from Thrifty Mum and Mandy from Once Slice of Lemon recommend Dream Cream from Lush which contains oat milk. My youngest son has severe eczema, he has been under a consultant since birth and had tried every treatment under the sun. I found a huge step forward was keeping a food diary and correlating any major flare ups with what he had eaten that day. We soon found a pattern and could pinpoint the foods which really flared up his skin. How do you manage your eczema?